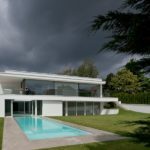 House Von Stein is a project designed by Philipp Architekten. 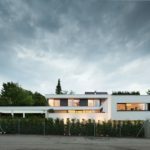 On a gently sloping corner lot in a grown residential area in Frankfurt, Germany, a house was to be designed, offering the owners both a maximum of privacy as well as a high degree of openness. The clients described their dream of the desired living environment as ” Los Angeles loft feeling” coupled with the desire for a maximum room experience. This entry was posted in apartments, bathroom, bedroom, house, kitchen, living, outdoor, pool and tagged bathroom, bedroom, home, house, house idea, House Von Stein, houseidea, kitchen, living, luxury, myhouseidea, outdoor, Philipp Architekten, pool, villa on August 16, 2016 by admin. Villa Scheller is a project designed by Philipp Architekten and is located in Ulm, Germany. This entry was posted in bathroom, bedroom, house, kitchen, living, outdoor, pool and tagged bathroom, bedroom, Germany, home, house, house idea, houseidea, kitchen, living, luxury, myhouseidea, outdoor, Philipp Architekten, pool, terrace, Ulm, villa, Villa Scheller on August 11, 2016 by admin.